Distribution: Occurs throughout the southwest from Dongara to Cocklebiddy. 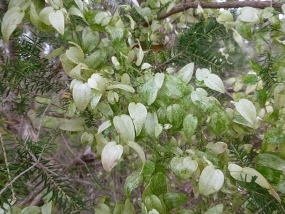 Description: A climbing and sprawling plant with fragrant white and green flowers from August to September. 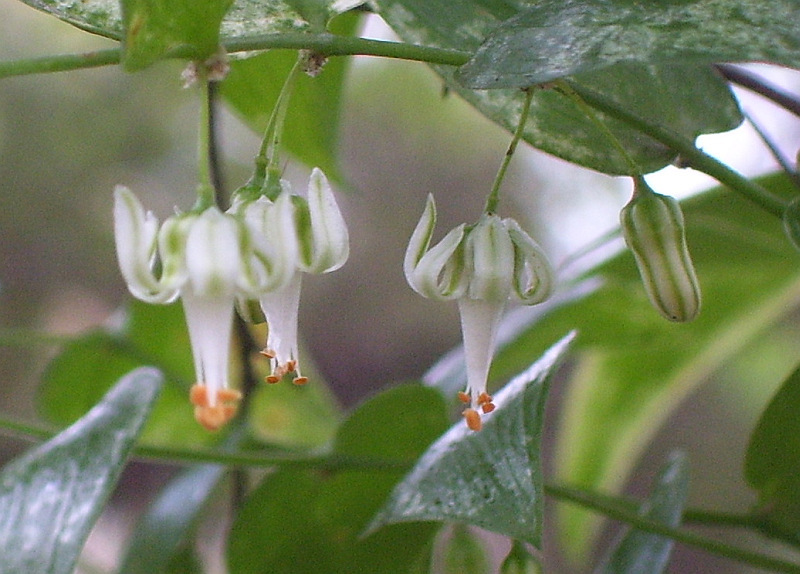 Following flowering, it bears bright red berries that are up to 1 centimetre in diameter. 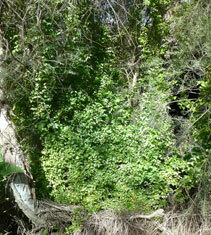 Notes: Bridal Creeper is a declared plant meaning that landholders are required by law to control this plant on their land. This plant is one of the State’s worst environmental weeds. Biological control agents, a rust, Puccinia myrsiphylli, and a leafhopper, Zygina sp., released since 1999 are showing potential in reducing fruiting and dominance of this weed. 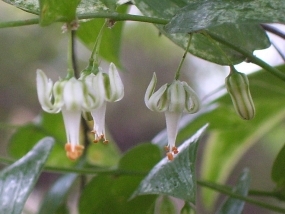 The plant is native to South Africa and was introduced as an ornamental. References: Western Weeds, A Guide to the Weeds of Western Australia. BMJ Hussey, GJ Keighery, J Dodd, SG Lloyd, RD Cousens. 1997. 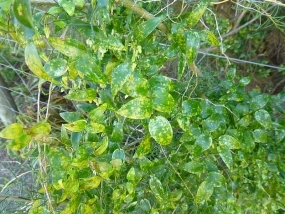 This plant is showing damage caused by the leafhopper, Zygina sp. 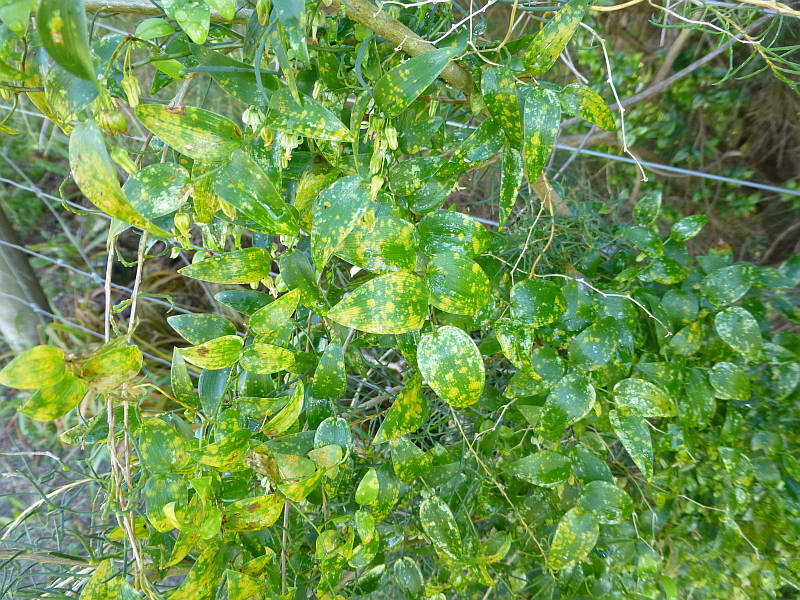 This plant is showing damage caused by the rust fungus, Puccinia myrsiphylli.